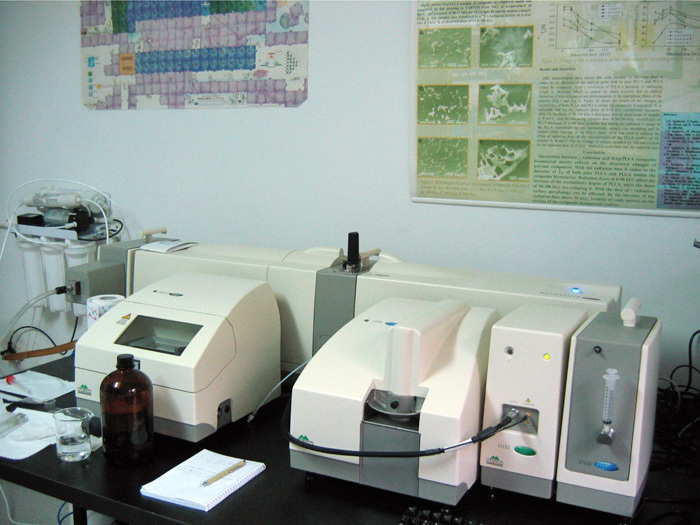 As part of a public call for funds under the National Investment Plan for 2008, the Ministry of Science and Technological Development of the Republic of Serbia allocated funds to the Institute of Technical Sciences of SASA for the purchase of equipment for the determination of particle size distribution – Mastersizer 2000 (Malvern Instruments Ltd., Malvern, Worcestershire, UK). The instrumente was installed between October 22 and October 24, 2008, at the Laboratory of the Institute of Technical Sciences of SASA (at that time, it was housed at our laboratory within the Vinča Institute of Nuclear Sciences; now, our lab is located at the Institute for Materials Testing of Serbia) and subsequently it became available to all researchers in Serbia involved in non-commercial and commercial research. Since then, hundreds of analyses have been done on this instrument and they have been published in graduation, master and doctoral theses, as well as in a large number of research papers. All these results justify the investment in the first piece of the "capital" equipment granted to the Institute and its price of about 100,000 EUR.